First, let me apologize for the lack post on Monday, but there has been a family emergency that has had me rather busy. I was watching one of the hundreds of channels I get on my TV these days and they were advertising a new show Airport 24/7: Miami. This show takes place at Miami International Airport and they took 4 months to film there. 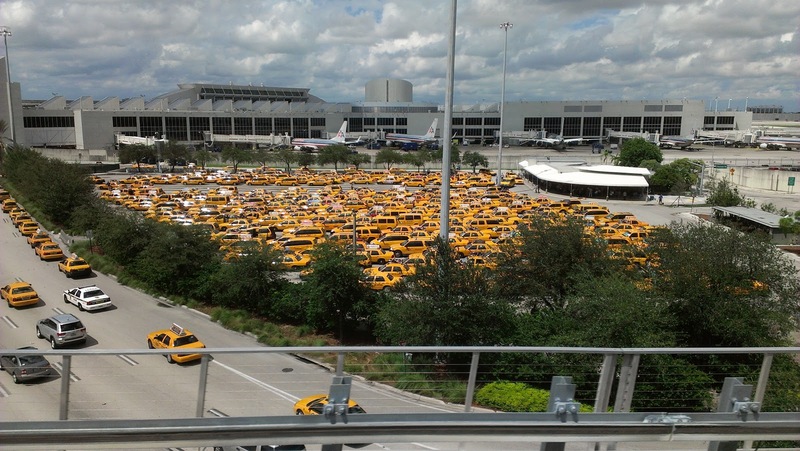 I have been spending a good deal of time in Miami the past few months and the only thing I found that was photo worthy was the picture of the waiting taxis. I took this picture as I was riding the shuttle from the airport to the car rental facility. Whether it is in the middle of the night or during the day this sea of yellow is full and ever ready to usher you off to some place in the city, all for a tidy sum I am sure. 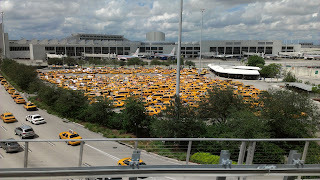 WHAT, nothing photo worthy in Miami is the see of taxis? Although the photo is intersting I would have thought the sea. The colorful art deco buildings would be photo worthy! Oh, Flatus, Where Are Thou? Clarity, That's What It Needs, Clarity! Oops Did I Do Thaaat?